Of the thousands of photographs I’ve taken over the past several years, there are a handful that I consider my signature shots. Today, I share one with you. For three years I tried to capture a perfect water lily blossom. You might think this would be easy, but water lilies only “glow” when the natural light is just right. And often they are covered in tiny black fleas, lots of them. Much of the day, the blossoms are closed. Sometimes one petal is “going by” while the rest are still perfect. Dragon flies love to use the pads as landing strips and the blossoms for sun bathing (which is great, if you want to get a photo of a dragon fly!). On and on, etc. So, after three seasons of trying for what I considered a close to perfect shot, I finally captured this blossom. It still is one of my favorite photos. The glow of the petals has nothing to do with my camera. I didn’t use a flash. That’s what water lilies do when the sunlight is just right – they bob in the water, illuminating with their own radiance. When you see it, it feels as if it’s miraculous. It was this that I had tried for three years to capture. Beautiful! I’m always amazed when something so natural looks so unnatural. 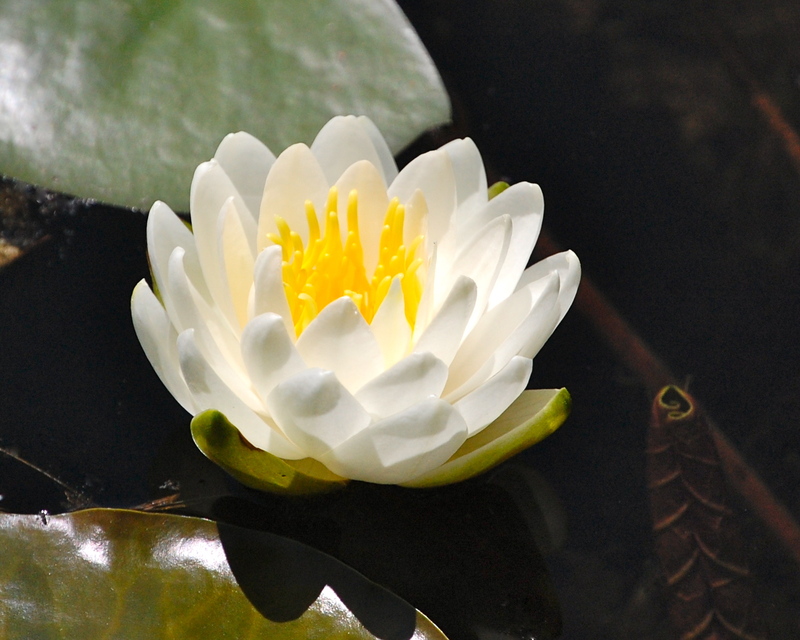 When the light is right, water lilies look like tea lights floating on the water. It’s a unique illumination, in the same way that the firefly is! Much harder than it looks. Congrats! Your photography is wonderful so I appreciate your comment.